How great would it be if you could put your product or service directly in front of your customers at the exact moment that they’re searching for them? SEM is one of the most effective ways to stand out in a marketplace where businesses are aggressively competing for the attention of motivated consumers. Search Engine Marketing focuses on using paid advertising techniques to promote your website content and increase visibility in search engine results pages (SERPs) and offers the advantage of delivering both immediate and long-term results. Typically, this advertising comes in two forms. First, through the Search Network which shows small text ads that appear on top of or to the right of the organic search results for a specific search term. Second is through the Google Shopping network which displays competing product images with pricing that appear in the top right of the page allowing the consumer to start their shopping experience directly on the SERPs. 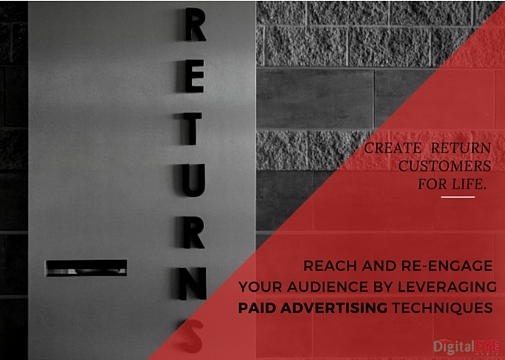 Digital EYE leverages both advertising methods for remarketing campaigns in order to reach and re-engage audiences to complete a desired action. Many people don’t convert on the first visit, but this doesn’t mean they still won’t buy in the future. If you’re not doing remarketing, you are not maximizing your ad spend by reaching those people again. Shopping Cart Abandonment is a big issue and remarketing campaigns increase conversions of these users that leave your site, by re-engaging them and sending them back to your website to complete a purchase. Our experts leverage a variety of proven techniques to scale your search marketing efforts and garner your website’s exposure in search engines, to effectively connect consumers with your brand, acquire new customers and maximize profitability. Pay-Per-Click (PPC) is a popular form of online advertising that offers marketing specialists the opportunity to bid on a specific selection of keywords that customers are likely to use when searching for those products or services in search engines, and the results that appear for those keywords in search engine results pages (SERPs). Google AdWords and Bing Ads are the two major search engine advertising programs where competitive bidding takes place. However, Google is still the dominant player in the space with over $60 Billion in advertising revenue in 2014 and over $48 Billion through Q3 of 2015. Our pay-per-click solutions drive quality leads by placing paid advertisements for your products or services directly in front of your customers and executing optimal bidding strategies for all your various paid search campaigns. Digital EYE utilizes compelling site links such as click-to-call buttons in ads allowing prospects to call you without having to even come to your website. • Immediacy of results – Once your ads are approved in the search engines campaign editor, you will begin to see them in search results. If your ad campaign is set up and optimized properly, you can begin seeing noticeable traffic coming to your site as soon as that same day. • Pay only for performance – You decide what your daily budgets are and you never pay more then that amount. If you’re concerned about your budget, Google AdWords allows you to spend as much or as little as you can. It’s important to make sure your PPC ad campaigns are optimized to get the most out of your advertising dollars, so they don’t result in wasted spend. Google Adwords also calculates the quality score of your selected keywords to show you where improvements can be made to display your ads more often and have an optimal cost per click and cost per conversion. 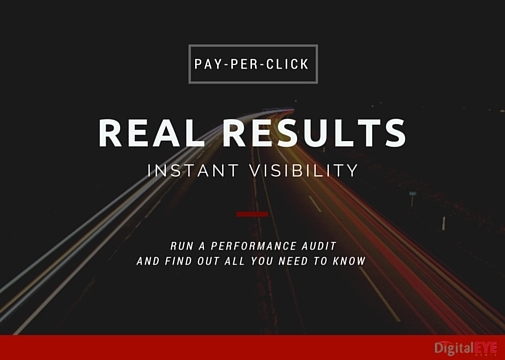 Digital EYE’s team of PPC experts conduct a comprehensive audit of your PPC account, to analyze key search engine marketing benchmarks and make recommendations for improvements. How Are Your Customers Searching for You Online? Whether you’re not seeing enough traffic or your conversion rates are too low, you might not be leveraging the right search terms for your target audience. Each campaign needs to have the right mix of identified keywords in order to reach your target market more effectively. Digital EYE’s keyword research and analysis services help you identify specific keywords and search phrases around your products and services then make sure you have a corresponding website landing page on your website. We provide you with a realistic understanding of what it takes to achieve top rankings for particular search terms and advise you on how to target better search terms for your website. We also create a negative keyword list to determine which search phrases ads should not display for in order to further increase campaign performance. Keyword research is essential to finding the search intent and commercial intent of your customers, which allows us to gain a better understanding of the likelihood that a prospect will complete a purchase or other desired action after searching for a given term. Often times, relevant search phrases and popular search terms are used alongside branded search terms. 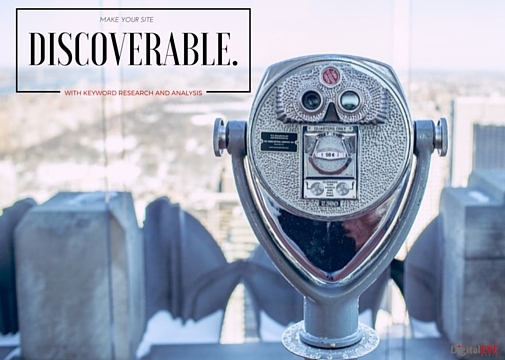 Branded search campaigns are also highly recommended. If your website has a significant amount of branded search traffic and you don’t have a branded search campaign setup, then you are allowing your competitors to optimize ads for your brand name and steal your traffic. Branded Campaigns: Both branded campaigns and product specific campaigns have higher conversion rates than search campaigns bidding on competitive keywords because your users are expressing the intent to find your business directly. Digital EYE leads you through every stage of your company’s Search Engine Marketing Campaign. Beginning with your business goals in mind, we tailor each aspect of your SEM campaign in an effort to continuously drive more quality traffic to your website. At Digital EYE Media, we believe that success isn’t about initial results. It’s about maintaining long-term growth and development. 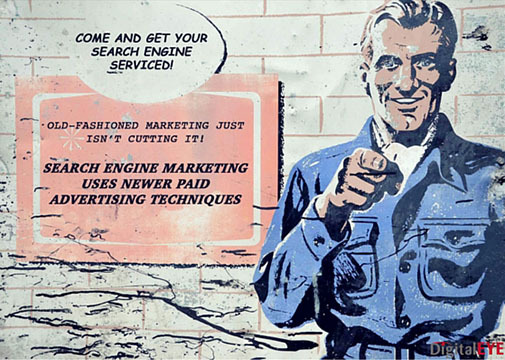 Call us today to find out more about our Search Engine Marketing Services.